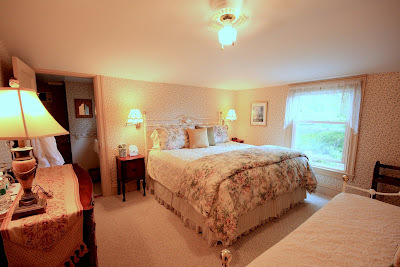 New iphone application for Bed & Breakfast seekers! ILoveInns.com has launched InnTouch.com - an iphone application which lets you to search for an inn wherever you are, allowing the phone to use your current location with one touch. This feature would certainly sway me to advertise my bed and breakfast or inn with them over some other competitors. This is today's technology, mobile, on the go, at the ready, anywhere. Kudos to American Historic Inns, Inc. - nice job keeping up! Where old world meets new. 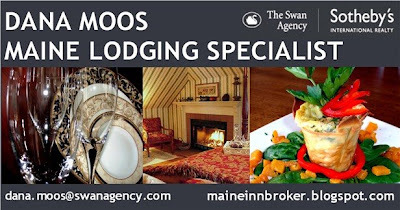 Japanese Soaking Tubs with heated tiles...body exfoliation treatments and massage...a beautiful yoga studio overlooking the park...traditional afternoon tea service...Maine artisan cheeses and wine...and organic dinners. 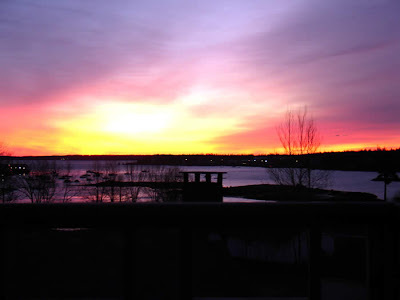 A full service retreat for the mind, body and soul...The Kismet Way. 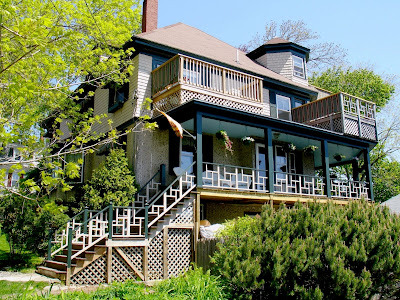 This grand Victorian was built in 1889 and was most recently renovated by her third and current owners. The attention to detail at Kismet is remarkable. The colors warm and vibrant; the lighting functional and decorative. 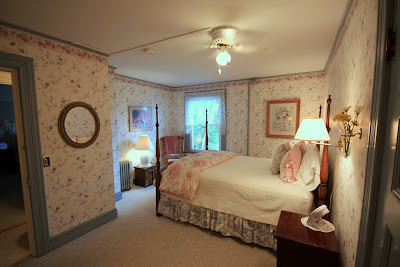 There are five guest rooms and each offers a different feel. 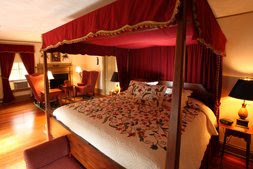 The upholstery, bedding and much of the furnishings have been custom made by local craftsmen and artists. Each private bath offers smooth pebble floors with radiant heat that feel as if they massage your feet. The steam showers have spray jets and the deep Japanese soaking tubs are crafted of beautiful turquoise and seafoam green colored tiles which are also heated. The heart and soul that was put into this renovation was done with one thing in mind: wellness. Beautiful hardwood floors, picture windows with unique window treatments adorn each room. There are two parlors, a dining room and an art studio, all quite spacious, each offering a different experience to its guests. The view of the park across from Kismet Inn is gorgeous. Kismet's beautiful open kitchen where porch seating is easily accessible. Floors are tumbled marble, cabinetry is Kennebec Kitchens, countertops are black honed granite. 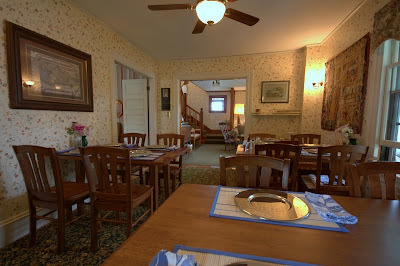 The inn has a restaurant license and currently offers dinner to the guests. Kismet hosts weddings, retreats or other events on occasion. 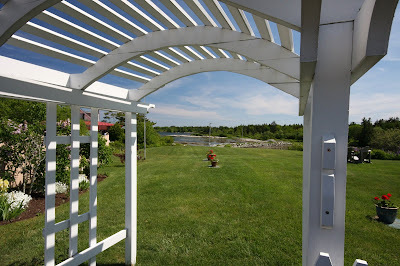 Wedding ceremonies across in the park followed by a small reception at the inn would be ideal at this beautiful property. 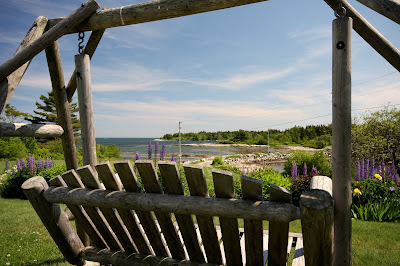 Kismet Inn offers a buyer the opportunity for many revenue streams. 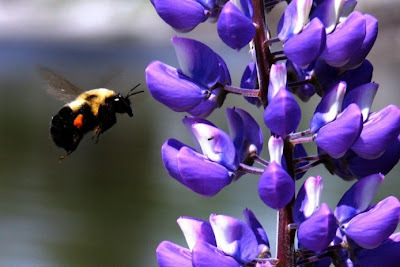 But mostly she offers beauty, pride and a unique retreat style to fulfill the senses. The Kismet Way. Offered at $1,175,000. Contact me for more details or for a wonderful tour of the inn. May 2007 Down East Magazine says "Serenity will be yours at the Kismet Inn"
I get to play "Guest Chef" in Camden this weekend! 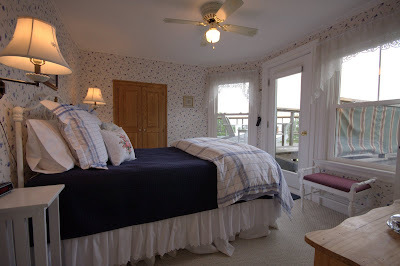 Timbercliffe Cottage is a lovely 6 room Bed and Breakfast in the charming harbor town of Camden, Maine. My husband and I met Karen and Dave at an innkeeping seminar back in 2004 and have kept in touch since. 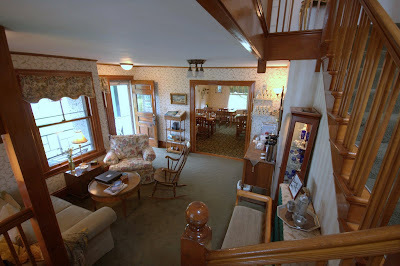 They fully restored this home complete with beautiful historic colors and decor taking you back to Early American times. 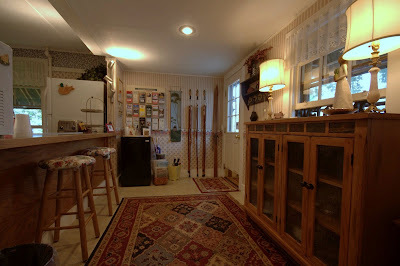 Karen is going to be visiting family and I'm filling her shoes in my favorite spot in the house, the KITCHEN! I just noticed this announcement on the Maine Office of Tourism's website! 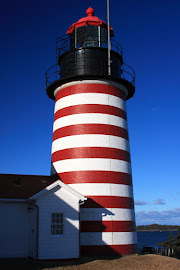 Innkeeping seminars are a great way to network for the future; you're all in the same boat as aspiring innkeepers and if you keep in touch, regardless of where in Maine you purchase, you can always help eachother out and maintain a network for referrals and support that can only be enhanced over time! 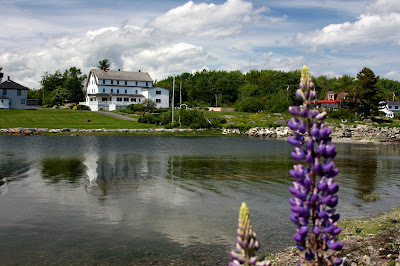 I showed Craignair Inn a few days ago and never leave home without my camera. Talk about great conditions for a showing and some exterior springtime photos? It's not easy planning your day according to the spring weather in Maine. Always keeps us guessing! and the fabulous porch view. 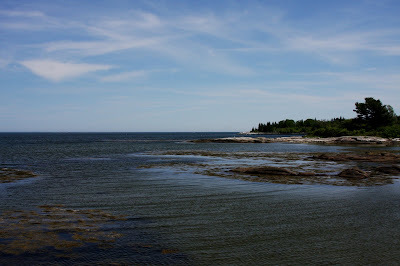 Doesn't this just ooze lifestyle, relaxation, serenity, vacation, Maine? 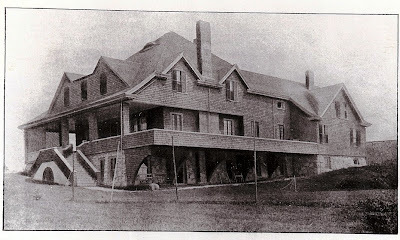 Craignair Inn opened its doors in 1947 by the current owner's grandparents. It was sold and purchased by two sets of owners before being purchased by the grandaughter, bringing it back into the family. 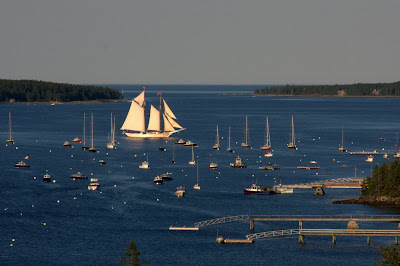 It's located down a winding peninsula just south of Rockland, on Clark Island and is the essence of a classic Maine resort on a very manageable scale. 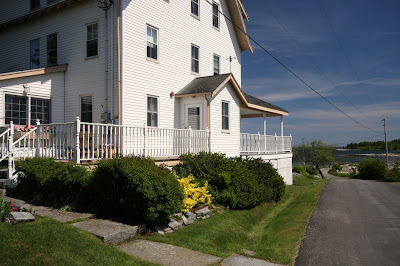 The main inn has 13 rooms , and the Vestry 8. 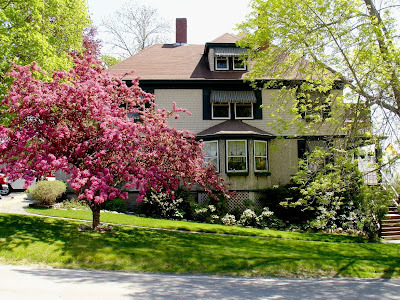 The inn provides a substantial income to its buyers from a May-mid October season. 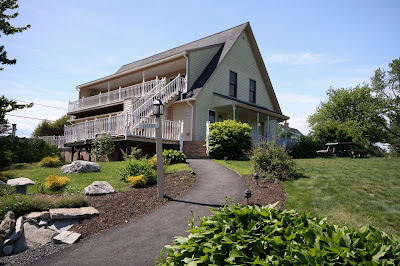 The inn is priced very well, allowing new owners to walk in and earn a living from the start. It is also ideally set up to combine rooms allowing the buyer to create a few suites and thus increasing some of the room rates and decreasing the quantity of rooms. I just read a Working Waterfront article this morning and now I must visit this local bakery! 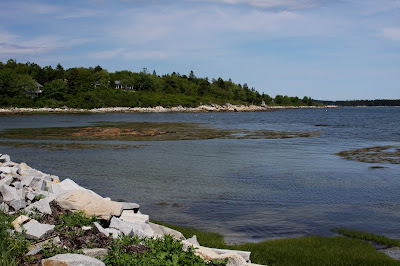 Frenchboro Bakery (yep, on Frenchboro Island-photo above) where a passion for cooking led to a nice business! They had me at "cinnamon rolls"...but then I read "English Toffee" and "whoopie pies"...a must visit for me this summer! 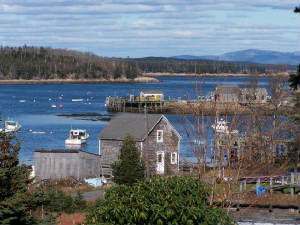 "The real estate industry in Maine is showing new signs of life after months of bad news, reflecting a national trend. Last month, pending sales of existing homes were the strongest of any month since August 2007. Pending sales – purchase and sales contracts that have been signed but not closed – were up 11 percent from May a year ago, even better than the national increase of 3.2 percent from May 2008 to May 2009. 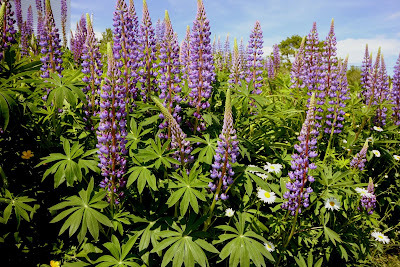 Linda Gifford, spokesman for the Maine Association of Realtors, said the surge in activity is being fueled by low prices, low interest rates and the $8,000 tax credit for first-time homebuyers. A recent bump in interest rates triggered another flurry of business, from people scrambling to get into the market before interest rates rise further and home prices take off again, she said. 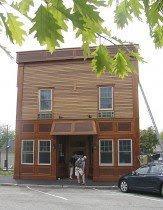 Bangor Daily News reports that The Colonel's Deli and Bakery in Northeast Harbor which was destroyed by fire last year opened on May 29th for business again! Congratulations to everyone involved and best of luck to you! Boil 5 minutes, then drop in cold or ice water to stop the cooking for a couple minutes. When cool enough to handle, cut lengthwise down the tail, use a mallet to break the knuckles and claws, and put on a medium hot grill freestyle stroke down for 5 minutes. Then flip to prepare them for the backstroke and drizzle melted butter down the split shell tail and let cook another 10 minutes. With the importance of today's Social Media/Networking and marketing your inn or bed and breakfast, I've decided to offer my buyer clients an additional service free of charge. 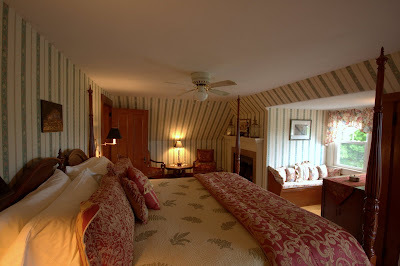 When a buyer whom I represent closes on an Inn/B&B, I will provide marketing assistance to help with the transition. I'll take new photos of your property once you've settled in and provide you with a disc copy; I will help set you up on Twitter and Facebook, as well as a blog for your business (and if any of these are already in place, I'll help you personalize them to your taste as the new owners). We'll review the advertising websites and adjust your subscriptions as needed. 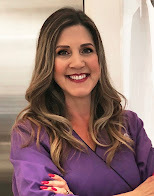 Think of me as your one stop Broker, Photographer, Marketing Consultant and former innkeeper with a passion and determination to help you succeed in your new endeavor. I feel my responsibilty to my client doesn't end at the settlement table. Buyer representation costs you nothing. Not having the right Broker behind you can cost you a great deal. Contact me for more details.